Desperately Seeking Adventure: Flying High... Emirates! Fulfilling a dream I recently flew with Emirates from Birmingham, UK to Beijing, China. 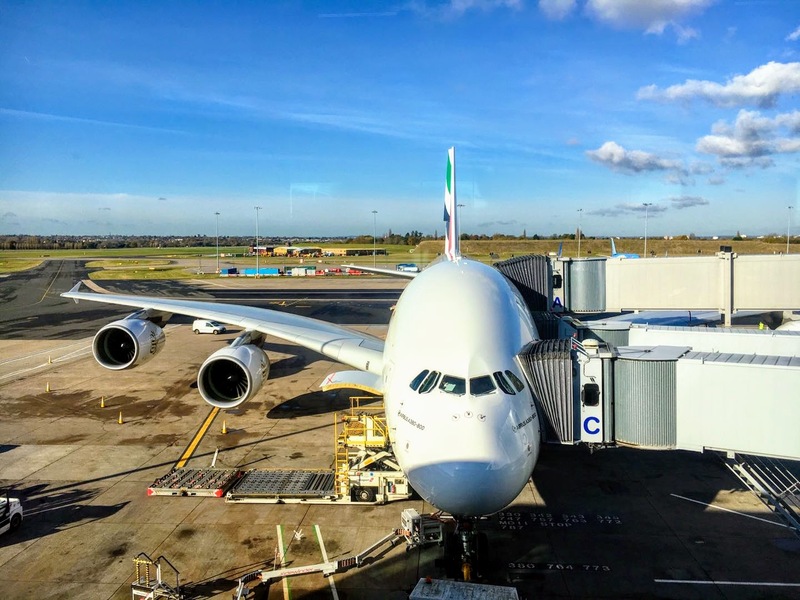 Saving up for that airline experience with one of the UAE's most recognisable airlines was worth it, championing my previous long flight by a long shot! From laughs in the galley from Birmingham to a seamless transfer in Dubai's glistening Terminal 3 only added to my Arabic experience. Fly! I had always wanted to fly on the Airbus 380-800 since it was put into service for one reason, to say that I had flown on a double decker aircraft. Making that dream come true I chose the leader in the super jumbo market, Emirates had to be the one with a doubt! I had scrimped on my flight back from China in July 2017, so Emirates had big shoes to fill to impress me but that wouldn't be a problem! Waving goodbye to my parents I had just left my luggage at check-in, choosing to pre-check-in and print my boarding card beforehand made sense, it definitely made things flow better. Birmingham Airport being my local airport has the bonus of a double Emirates A380 service to Dubai, making use of that nearby benefit worked for me. With the boarding gate called I made my way to see what would be taking me on my first sector of my journey, seeing the swish crew sweep past reaffirmed why I had chosen Emirates. 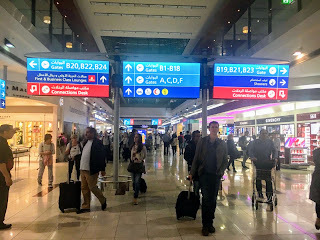 Boarding was seamless, stowing my cabin baggage away I relaxed into my lower deck economy class seat, choosing a seat towards the front of the cabin had to be done because I needed to make my connection for my next flight to Beijing from Dubai. With the proceedings taken care of and the pre-flight checks done it was time to see if the super jumbo A380 would glide effortlessly off the ground during its takeoff? Yes, I was amazed to be lifted into the skies without any sudden movements or feeling any significant speed, now that impressed me much! I couldn't believe my luck, I was finally on an Emirates flight bound for Dubai for my onward journey to Beijing, China. Having previously interviewed for Emirates and it not working out I could at least hold onto that flight. With our smooth takeoff and easy ascent into the skies over the West Midlands it was time to choose what food option I wanted, oh the choices! The question stood, what would it be? 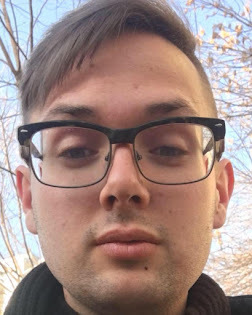 Chicken or? Bring out the Bacardi! Having previously flown on a Russian airline that didn't serve a stitch of alcohol I set out to enjoy my two Emirates flights responsibly. As the drinks trolley made its way down my section of the vast Emirates A380-800 I couldn't decide what I wanted to drink before dinner was served. Ditching beer or gin I threw caution to the wind by having a double Bacardi and Coke, I wasn't going on a holiday but it sure felt like a celebration. Choosing the chicken served with seasonal vegetables and fresh gnocchi, for afters I had a cheesecake and a small selection of cheese and biscuits to finish. I was seriously satisfied with the food, it all tasted so fresh and I was even able to eat with proper silverware! Having another Bacardi and Coke had to be done but I considered my surroundings and fellow passengers, I was happy for the option to drink something stronger than juice! Emir gave me it all to me! 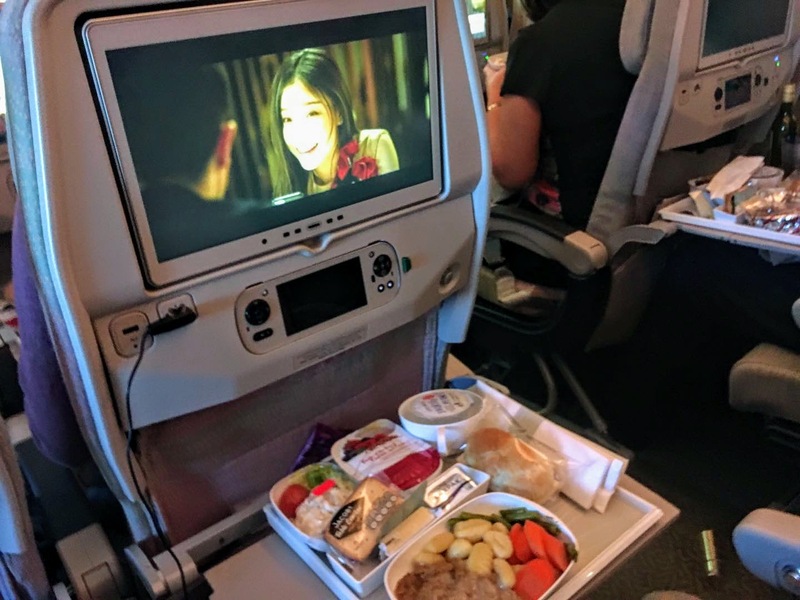 I had heard about the award-winning in-flight entertainment aboard each of Emirates flights, known as 'ICE' I was able to explore the flight and the planes exact position and many other specific details within 'Information'. The 'Communication' feature wasn't something I that I utilised because I could connect to Wi-Fi as soon as I landed into Dubai and I didn't need to send any emails. Undoubtedly, I made the best of the 'Entertainment' amenities by choosing a great film to watch as I ate my dinner, choosing 'Suddenly Seventeen' within one of the Mandarin Chinese language films showed me a current romantic flick that was conveniently set in Beijing, China. On the second flight I didn't watch any films but I made the most of the current music choices, the wide array of popular upbeat music was actually quite good and yes I enjoyed a few more Bacardi's. Emirates's outstanding in-flight entertainment had no negative points, more-over it was simple enough to use throughout! Oh! Touching down into Dubai International Airport I was ready to find the departure gate for my onward connection with Emirates. With my bags interlined from Birmingham to Beijing via Dubai all I needed to do was scan my bags and go through security but no passport control was required. 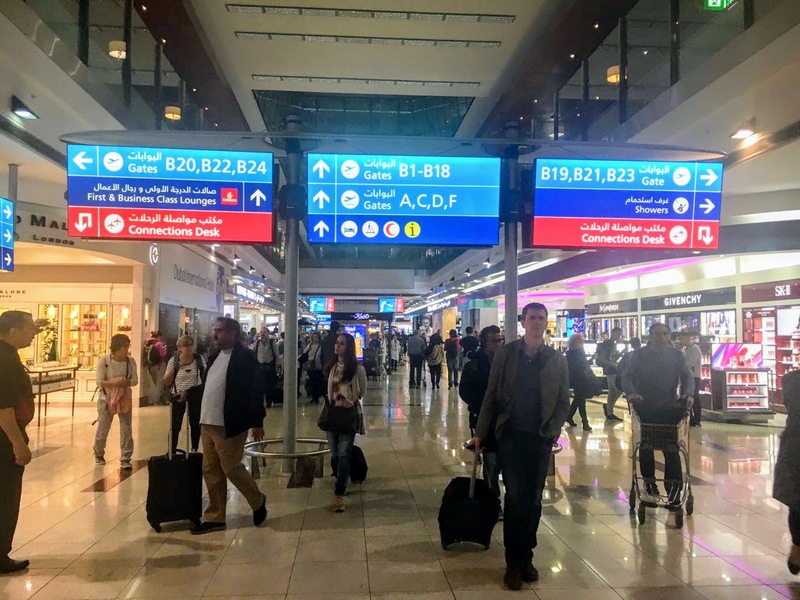 I had watched countless National Geographic documentaries about the Emirates operation, I was excited to see the signs in Arabic and the vast Dubai Duty Free outlet within the departure lounge of Terminal 3. Thankfully I was already in the same concourse so I didn't need to take the APM, leaving me more time to have a look for a small present for my Chinese and Foreign principals at my prospective kindergarten campus. Going for two wooden decorative camels, they weren't garish no because I have taste! The Bacardi's and adrenaline of the experience kept me going but I was in a suitable state because Dubai doesn't do drunkenness! I automatically knew that I had arrived at my Beijing departure gate because the passengers had their hot water and instant noodle pots. The chatter of the Mandarin Chinese language sounded different, the rough tones of the Wuhan accent wasn't in the air it was more of a standardised tone, they must have been Beijing Ren? Boarding was slightly annoying because the passengers weren't listening to the boarding calls that announced the letter zones that were allowed to board, I had to bring out my Chinese skills to tell the people next to me that they could take their seats again for a few more moments. Relaxing into my second Emirates economy class seat it took us an age to taxi to the runway because 2am posed to be the ultimate rush hour period for Dubai Airport. However long it took I would only have another seven hours of flying left then I would finally be in China after a three month break that was made a lot longer but I don't need to go into that shady business. No B! Backtracking to the first sector from Birmingham to Dubai I had just enjoyed my main meal and had watched 'Suddenly Seventeen' but I wanted to catch a photo with some of the crew. Only five rows away from the nearest galley I asked one of the crew if I could have a photo when the other crew returned from their break, he was pretty positive that was going to be possible so I went back to my seat. Giving it about five or so minutes I returned to the galley to ask again, to my delight Chutipa and Elle agreed to a photo! 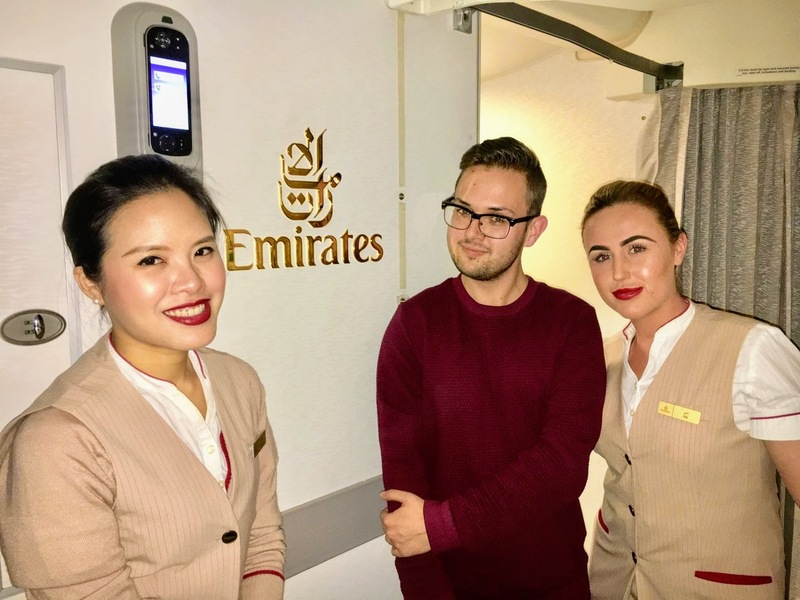 I love the snap Emily took under the Emirates logo, it was a lovely moment compared to my previous long haul flight, the crew weren't so approachable but Emirates crew were lovely! Staying in the galley for a chat with Elle and Emily they made sure I had enough refreshments and also snacks! We must have been talking for a while as they told me it was time to sit down for landing! Two, Bacardi's? With Elle being from Coventry it was like talking to my cousin Laura, she was lovely and told me lots about Dubai life, it sounded major! Emily being from Southern Ireland said that the Dublin flights were always a lively occasion, within a professional setting I read between the lines because like the British the Irish love a good drink en-route to their holidays! I could go on for days how that informal chat in the galley positively impacted on my flight because the crew were so welcoming and natural, it was definitely a flight that I didn't want to disembark from! As I waited to disembark the aircraft I managed to grab a snap with the world famous Emirates hat on before the line moved, I literally could have flown another six hours on that flight because it was so very good! The crew may have quiet during the second flight but the service was still really good, I couldn't fault one single thing. Needless to say, I've already looked at my next Emirates flights to Brum via DXB!